My friends (actually my supposedly students) invited me for a lunch out after their graduation. I am so thankful that they invited me for this even though I never had the chance to teach them! 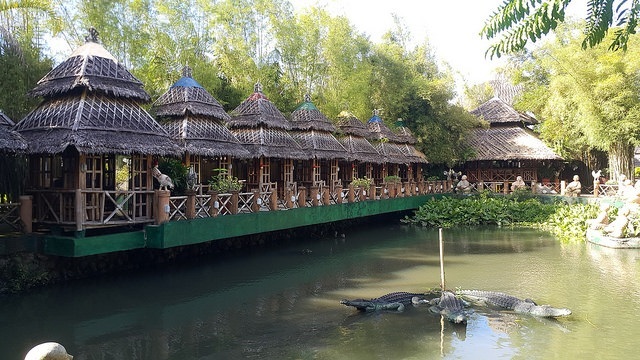 Our original plan was only to visit any seaside restaurant but since they got a van rented out, we decided to try the Isdaan Floating Restaurant in Calauan Laguna. The restaurant is around 2 hours away from Manila via expressway. It’s a huge floating restaurant with a feel of ‘Thailand’ so it’s popularized as the ‘Little Thailand’ coined by the locals. To roam around the area, it took us around 2-3 hours already. Accommodation wise, the staffs were really nice and they made us order ahead so while they are preparing, you can simply roam around. I love all the dishes except that the serving for the rice is really small. They serve seafood, meat and chicken dishes. They also gave us a free platter of salad which is my first time to try. The staff said it was made of young coconut but it didn’t taste like a coconut at all to me. HAHA. 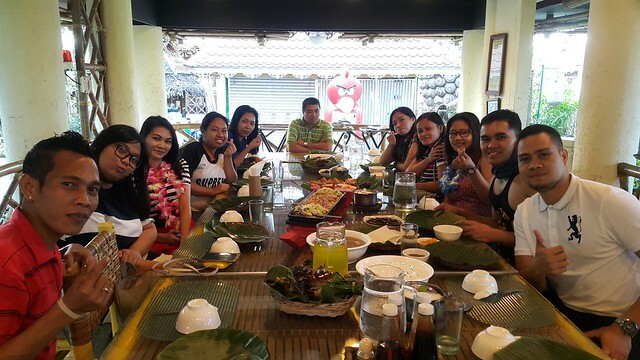 We tried their best dish which they call ‘Chicken Tinupig,’ from its name, ‘tupig’ which means the chicken is enveloped in Banana leaf. The seafood platter and Nilaga were also must try items on their menu! These are all cottages for rent depending on the number of guests. They have more than fifty cottages and they said the place is best to see at night! 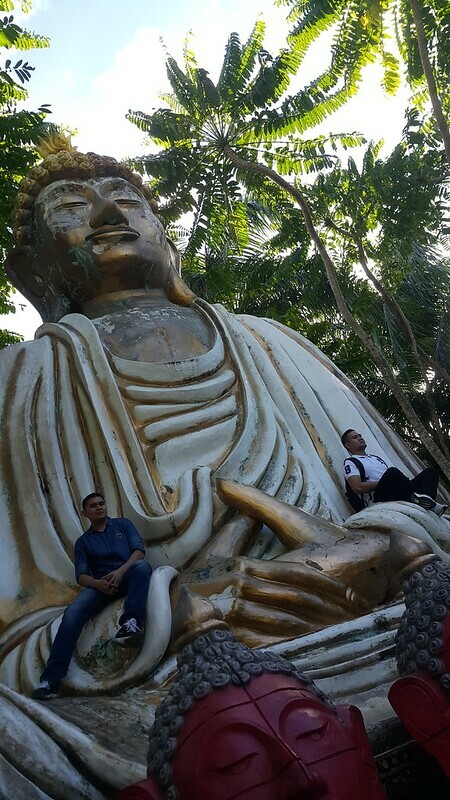 You can see huge figures around that would surely give you a feel of Thailand!! They also have activities like boat sailing and fishing! They could also provide bikes for the kids! No additional fees at all. 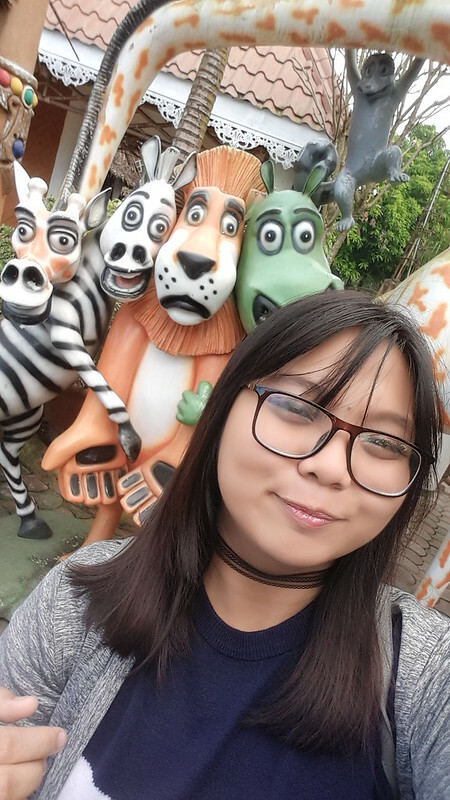 But then, I am busy taking pictures with popular characters including that of these bunch and my favorite Mickey Mouse. The serving time for food would take long but the time to roam around the place would surely tire you out so make sure to order a lot! !